What are Research and Interest Groups? 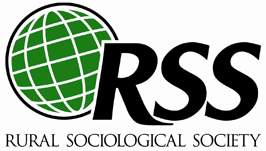 Research and Interest Groups (RIGs) reflect the substantive interests of RSS Members and serve as an important avenue for connecting members with similar interests. RIGs serve a critical role in RSS including: identifying, developing, and recruiting for the annual RSS conference; planning special events, speakers, field trips for the annual conference; providing intellectual leadership in their respective areas; rewarding achievement through internal awards and recognitions; and creating opportunities for members, particularly graduate students, to network and identify colleagues with similar interests. RSS currently has 14 RIGs. To find out more about each RSS Research and Interest Group (RIG) simply click on the title below or contact the leader of the RIG. If you are interested in proposing a new RIG and know at least 6 RSS members who share your interests, contact the current Vice President with your idea. Mary Hendrickson is the 2018 VP and her e-mail address is [email protected]. Click on the RIG's title for more information. Click here for information about RIG dues. Click here for information on the RIG Manual.